HANOVER, Pa (WHTM) – A car crashed into a York home Monday morning, leaving the seven people who live there temporarily homeless. The crash happened at around 2:45 Monday morning along the 100 block of Pleasant Street in Hanover. 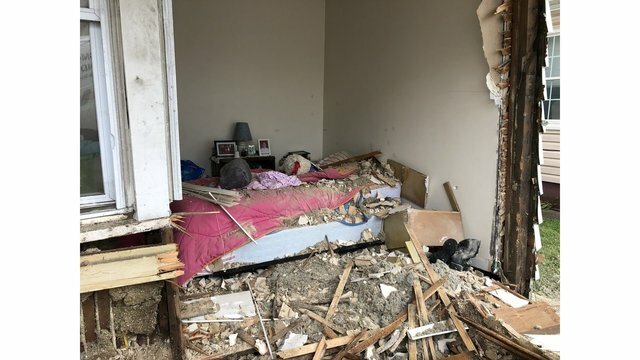 The car rammed through the front wall of the home and into a bedroom where a woman was sleeping. Witnesses said the driver tried to flee the scene, but a neighbor held him until police arrived. It is not clear what, if any, charges the driver faces. The Red Cross is helping the five adults and two children who lived in the home.